Jungle Brazilian Jiu-Jitsu (Jungle BJJ) was born with the arrival of Fernando Nascimento Araujo to the Czech Republic in 2005. Fernando had previously spent a year in Norway (Oslo) where he taught BJJ classes and seminars around the country. 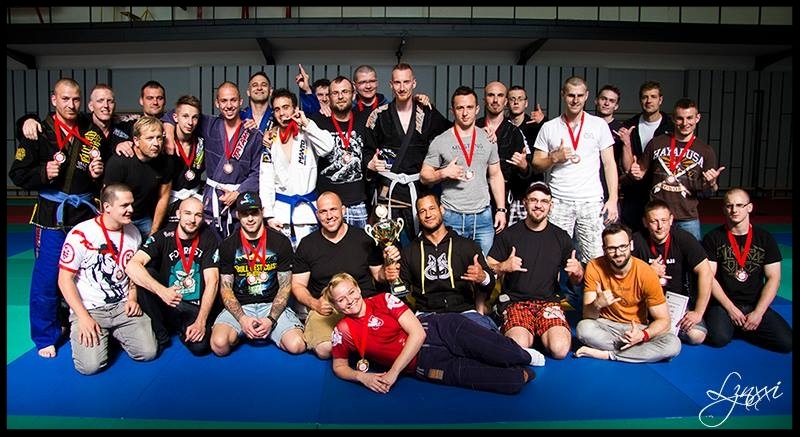 When Fernando arrived in the Czech Republic, he noticed a vibrant martial arts community – Muay Thai, Karate, Kick Boxing, Judo, Sambo, Aikido, Jiu-Jitsu. They quickly learned that it was a very effective form of ground-based combat that would give them a decisive edge in any self-defense or combat sport ground fighting situation they might find themselves in. From that time forward, these students began to flock to Fernando’s trainings: they came to cross-train or dedicate themselves exclusively to BJJ. Today, BJJ is a rapidly spreading combat martial art in the Czech Republic and Jungle has a total of 8 school in Europe and Russia. Fernando and his students regularly participate in tournaments around the world to put their skills to the test. However, the Jungle BJJ life-philosophy is a simple one: train hard and have fun. Fernando and his students’ first goal is to make classes a learning environment and develop a friendly team where all are welcome.